It’s almost summer, people. The trees are bursting with buds. 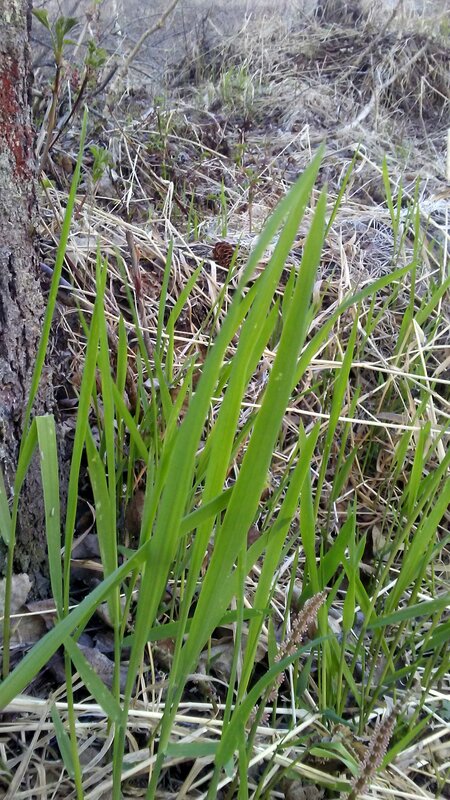 Soon everything will be green, green, green. 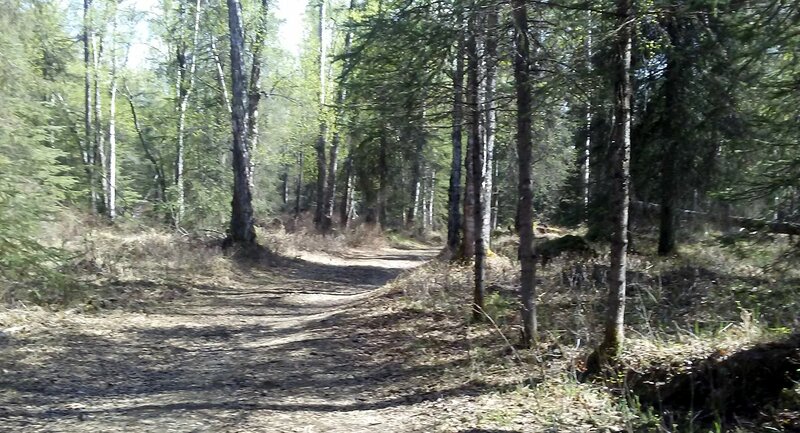 Until then, the trails still look a bit drab, a bit brown, a bit bleak. But still, there is so much beauty. 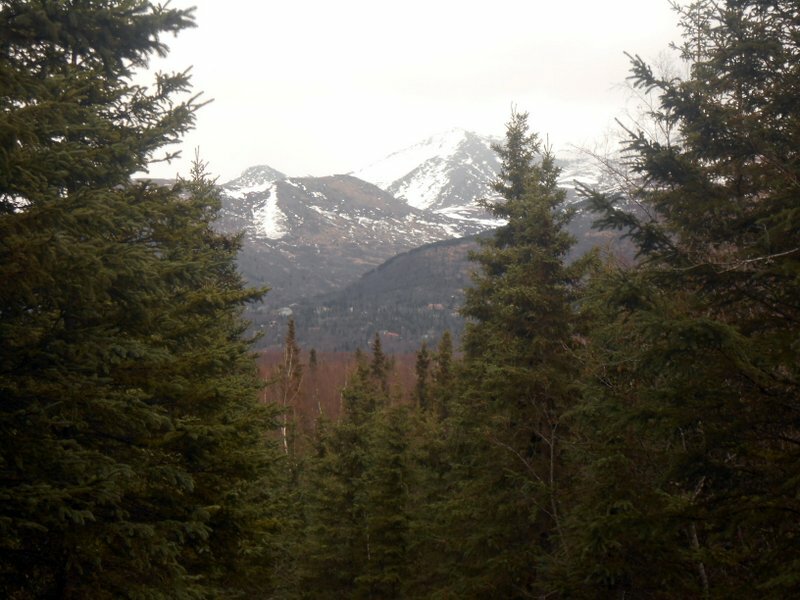 Sometimes when I’m running I almost can’t stand it, the birch trees leaning with the wind, the dark glimpse of the spruce trees and always, the mountains peering down like some type of reassuring fatherly figure. Thursday we did a light run over the Jodphur trail out at Kincaid Park. The trails are basically ski and mountain bike trails and quite hilly, which I love. There’s nothing like running up and down rolling hills, with soft dirt beneath your feet, is there? 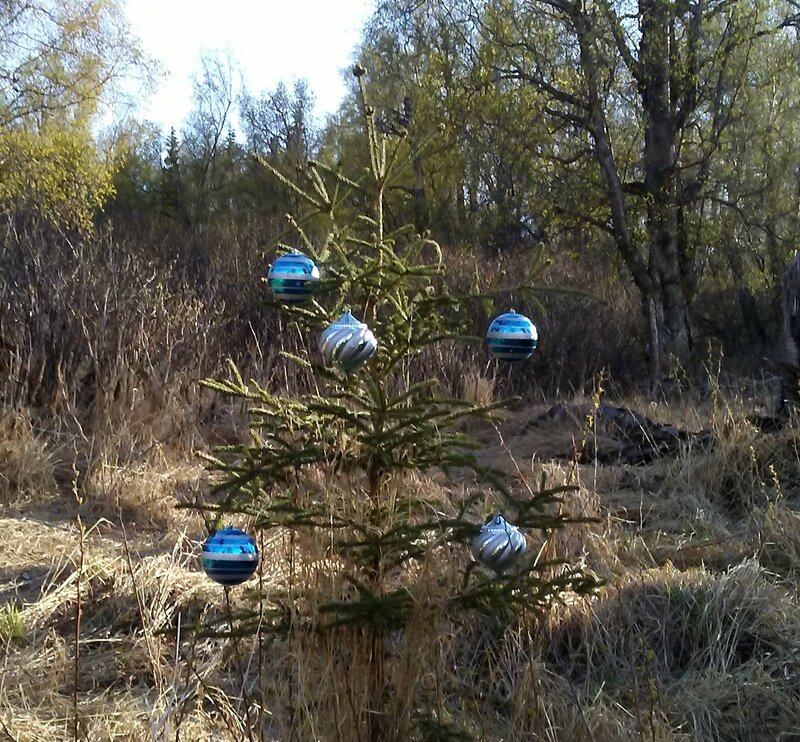 There’s a set of spruce trees along the trail that people typically decorate with Christmas ornaments. 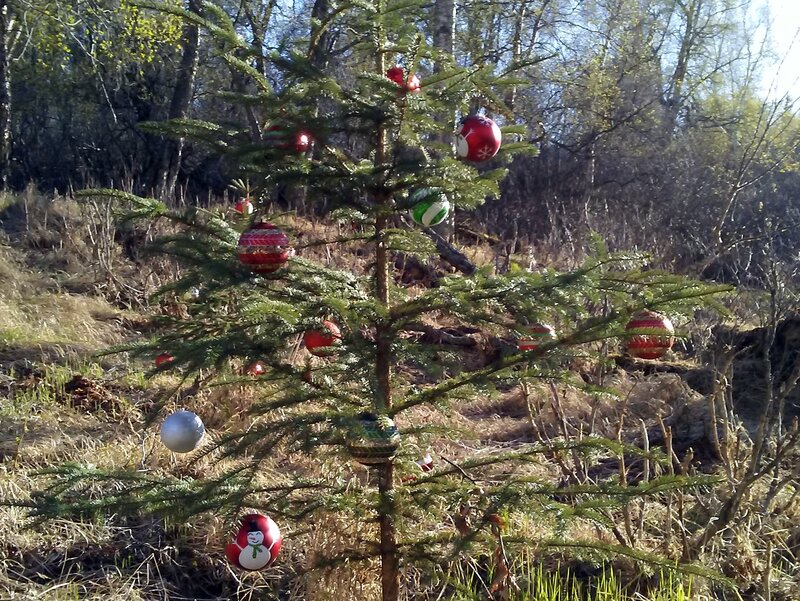 These decorations stay up all year and have become a landmark in my run. I don’t know why, but these cheer the heck out of me. 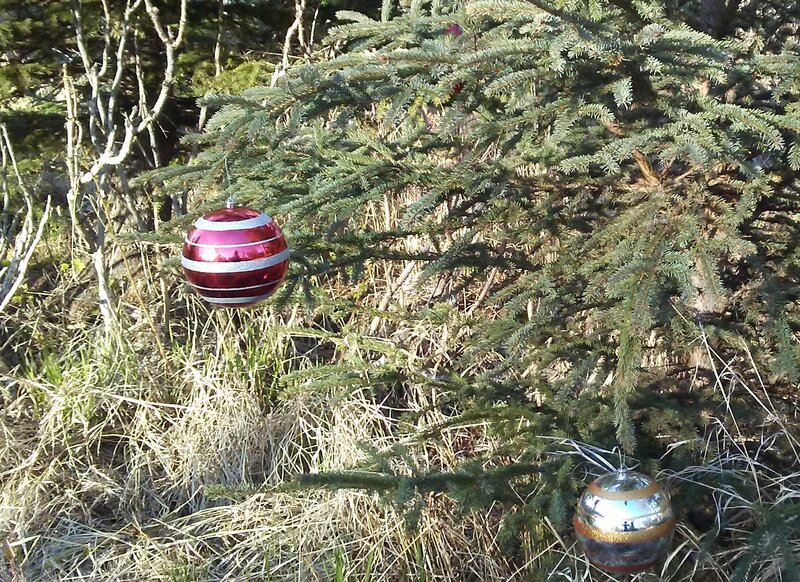 There’s something uplifting and yet endearing about seeing Charlie Brown sized spruce trees all decked out with ornaments. It makes me believe in many of the things I’ve begun to doubt about people and this country during this odd and depressing political atmosphere. 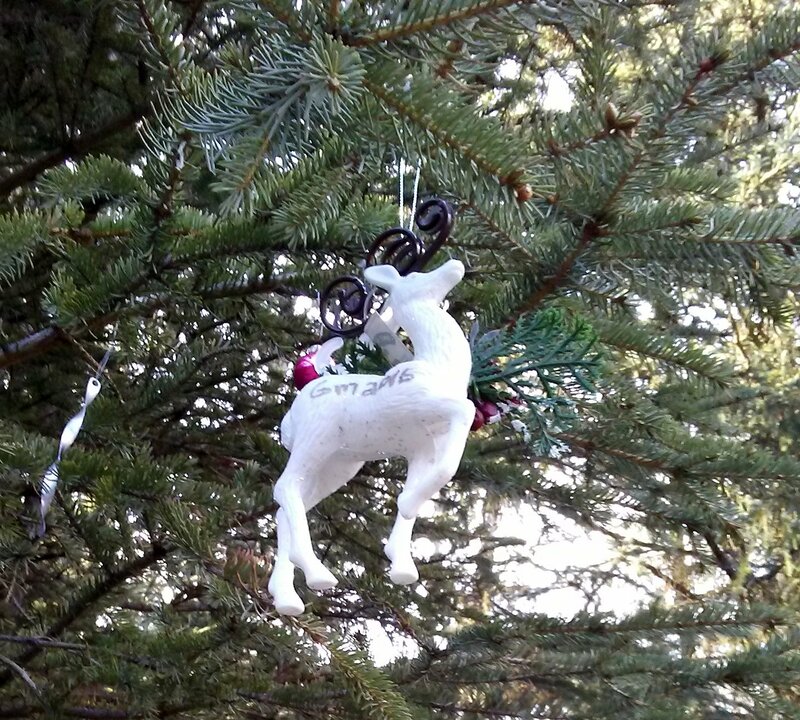 But if people can take the trouble to hang decorations on scraggly trees for all others to enjoy and admire, than I have to believe that there is still hope in the ideals of collective goodness, beauty and (dare I say it?) love.